!! 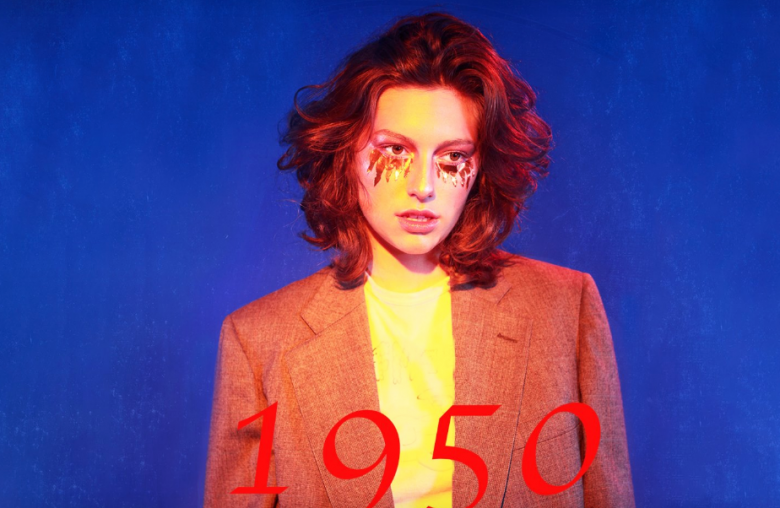 OMG, LISTEN TO THIS: Tiffany gives us the bar cougar anthem we needed with her 2019 resinging of ‘I Think We’re Alone Now’ !! !! OMG, how RUDE! The original ‘Full (and Fuller) House’ house is selling and could be yours! !! Maybe Aunt Becky needs the bail money!? Time to sell! 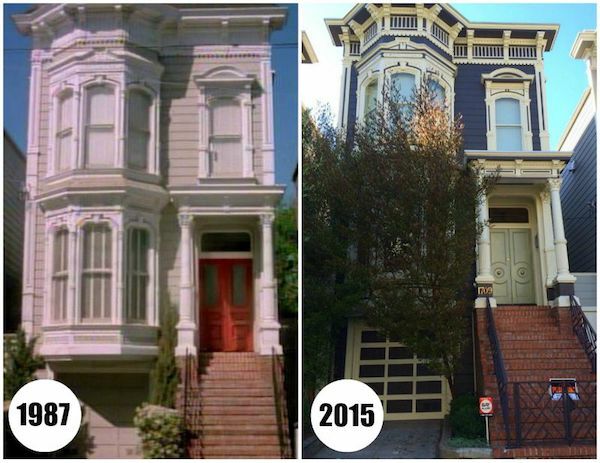 Fans of 90s sitcom “Full House” can soon own… the whole house! Or at least the front steps and windows! The house used in the opening credits of the show was purchased by Jeff Franklin, the show’s creator, in 2016 for $4 million. Even though filming never actually took place in the house, he planned to replicate the set inside and allow fans to tour it. Apparently the house is a hard sell because of its fame. Previous owners painted its facade and changed the landscaping to make it inconspicuous, but fans would still father to take pictures. So basically, if you like tourists tapping at your door all day long and snapping pictures of your windows, then this is the house for you! !! OMG, WATCH: Fake trailer imagines what it would be like if ‘Fresh Prince Of Bel-Air’ existed today !! Bel-Air, a story of a kid from Philly whose life got turned upside-down… in 2019. Check out a contemporary reimagining above! Thoughts!? !! 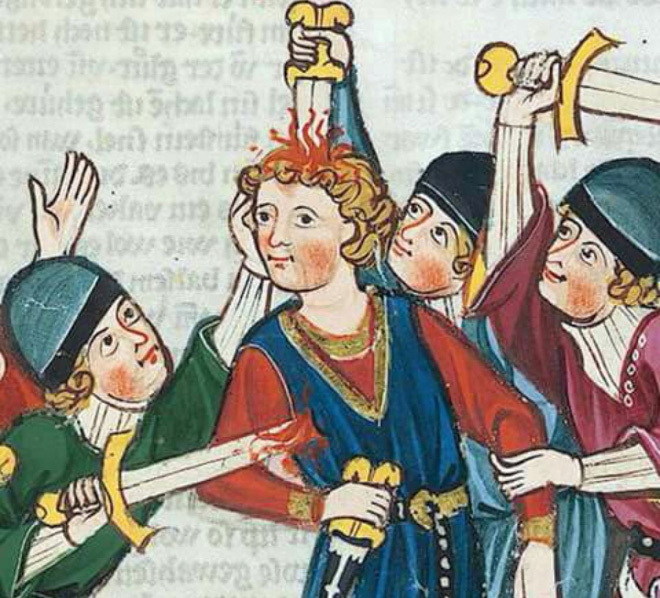 OMG, SAME: People in medieval manuscripts really didn’t give two shits about getting shanked !! Medieval manuscripts and scrolls were the storyboard of their day — but they also featured people getting cut up who strangely didn’t really give a damn about it! RELATABLE! Check out a full gallery after the jump! !! OMG, WATCH: Cardi B and Reebok take us back to the ’90s with slang n’ slap bracelets !! Catch Cardi take on the ’90s in a series of challenges, from decoding ’90s-era slang to seeing how many ‘slap-on’ bracelets she can pile on her wrist! Check her out above! !! OMG, WATCH: Why our horror movies are different now !! Why were there so many serial killer movies in the 90s? Or Satanic films in the 80s? Or zombie films in the 2000s? Check out the video above as we dive into the history of Hollywood’s most economically resilient genre to unearth the social, financial, and technological issues that informed some of cinema’s most iconic scares!